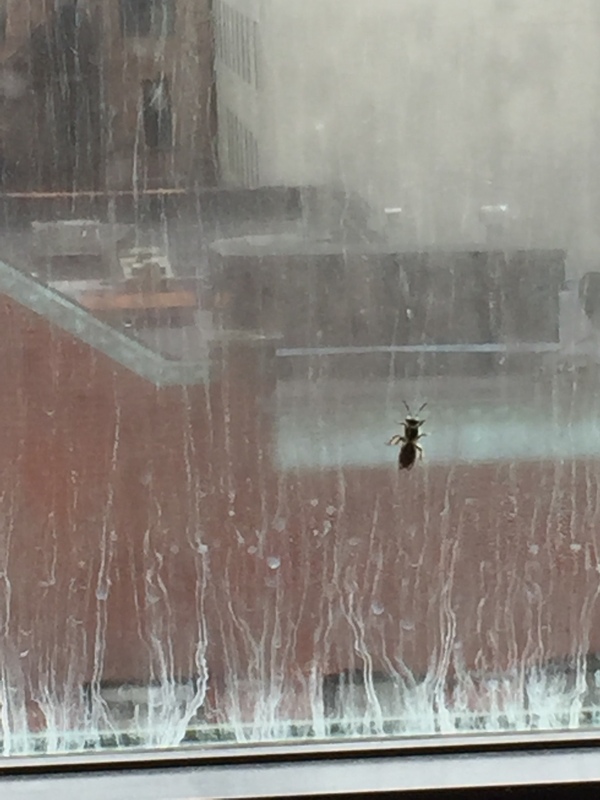 For the entire afternoon today, a bee kept walking up the window above the desk in my office. The bee would start at the bottom of the window and march up to the top, flapping its wings, and then inevitably tumble down to the bottom of the window — there to start all over again. I don’t know how many times it happened. 20? 40? 100? But the bee was a study in single-minded determination, and nothing was going to stop him from getting to the top of the window, for whatever his bee-related purpose might have been. I was tempted to try to open the window to try to shoo the obsessed bee out, but (1) the interior seal on my window is broken, which is why it looks like it hasn’t been washed since the Carter Administration, and I’m not sure the window actually opens, (2) it’s difficult to get to the window because of the way my desk is set up in the office, and (3) we’re talking about a bee and a potential stinging incident, for crying out loud. I may be interested in helping a fellow creature, but I’m not going to risk getting stung by some potentially deranged bee in the bargain. So I let the bee go on his merry, Sisyphean way. After seeing the bee fall repeatedly, and get up and dust himself off and start on his upward journey again, I thought the bee on the window was a pretty good metaphor for life and work. Some days, we’re just a bee on a window.